WELCOME TO PARADISE! In your front yard is the tranquil sound of the Jemez River and engulfing your back yard are the breathtaking cliffs of the Santa Fe Natl. Forest! A beautifully designed home with natural light pouring in from all angles. It includes 2 master suites, marble floors, granite counter tops, and extraordinary views that will make you LOVE YOUR HOME! Separate wings, outdoor access, and 5 garage spaces could provide for a great multi-generational home. Passive solar adobe walls for warmth, solar panels on the roof that currently generate more energy than is used, and 3 separate water sources on the property. The 9 acres are divided into 3 lots and each lot has access to it’s own utilities. A phenomenal opportunity to own the best parts of New Mexico and have room to grow! Please, send me more information on this property: MLS# 936664 – $850,000 – 16292 Highway 4, Jemez Springs, NM 87025. 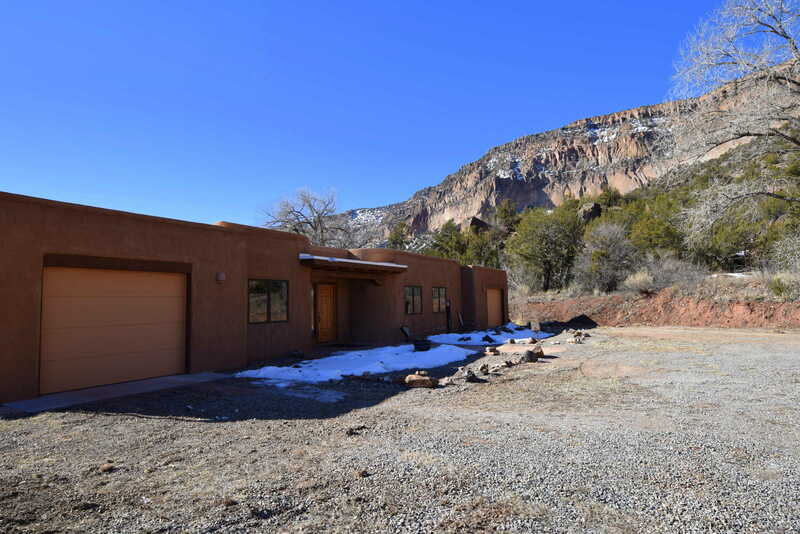 I would like to schedule a private showing for this property: MLS# 936664 – $850,000 – 16292 Highway 4, Jemez Springs, NM 87025.